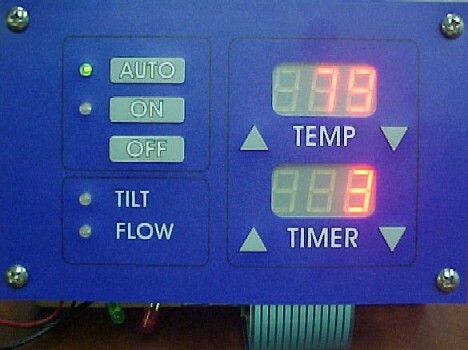 The control panel shown above was developed by Theta Engineering for a novel floating hot tub product from TugTub. 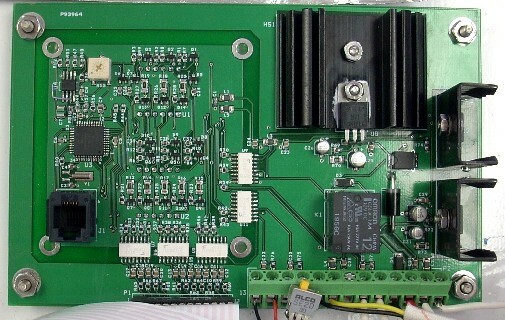 Theta Engineering did the circuit design, PCB layout and firmware development of this industrial-strength control panel. It is based on a Microchip PIC controller. One of the elements controlled by this panel, the water heater, has an electrical spark generator for igniting the gas heater. Special consideration given to this design enables the circuit to resist the EMI (Electro-Magnetic Interference) generated by this spark generator. While testing on the bench, it was amusing to observe the numerical voltage display in the bench power supply and the trace on the digital oscilloscope go crazy while the sparker was running, yet the displays on the panel itself remained stable and unperturbed. This despite the fact the panel was electrically and physically closer to the sparker than the other instruments!